The FY2018 federal budget proposes to eliminate the National Endowment for the Arts (NEA). Here’s a brief look at the creation of the agency and the reasons why a national investment in the arts makes dollars and sense. Art is a nation’s most precious heritage. For it is in our works of art that we reveal to ourselves, and to others, the inner vision which guides us as a Nation. And where there is no vision, the people perish. … What this bill really does is to bring active support to this great national asset, to make fresher the winds of art in this great land of ours. While the NEA more or less weathered the culture wars headed by North Carolina senator Jesse Helms in the ‘80s and house speaker Newt Gingrich in the ‘90s, the NEA’s unfortunate position as an easy target for political posturing continues to undermine the agency’s mission as set forth by LBJ. On May 23, 2017, only a year and a half after the 50th anniversary of the agency, the current president released his budget proposal which outlines his plans to eliminate funding the NEA altogether. He is the only president in history to propose zeroing out funding to the nation’s cultural agency. Congress ultimately approves or rejects the proposed line items, and Congress gave the NEA a $2 million boost for FY2017—a smart move considering the NEA helps an industry that generates $742 billion to the national economy. So, the people have an extraordinary opportunity to respond on behalf of preserving the NEA by contacting their members of Congress. The NEA was a simple solution for the questions of how to preserve the many splendid cultural traditions of this nation and continue to nourish the creative soul of the country. Creating it demonstrated a stunning act of faith in humanity after the harrowing tumult of the early 60s and the American entrance into the Vietnam War. NEA grants, while supporting high-profile artists and organizations, mostly support rural and inner city areas that lack the economic infrastructure to provide arts development for their people. The bulk of the grants go to small and mid-sized organizations. These grants help foster economic growth and community pride. People understand that arts nourish the greatness of their hometowns as well as their country as a whole. As for the controlling-government-waste-by-cutting-arts-spending argument, it doesn’t hold. As of now, the NEA gets $150 million in funding (.003 percent of the total budget) yet supports an industry of nonprofit arts that return $9.6 billion in federal taxes. That’s a massive ROI. In addition to the big business of arts funded partly by NEA grants, the National Endowment for the Arts serves as both repository and springboard for American arts, with some of the nation’s most renowned and gifted artistic geniuses and organizations participating in its development, implementation and execution. The first year of grants included Paul Taylor, Alvin Ailey, American Ballet Theatre, Actors Theater of Louisville, American Choral Society and to the New York City Opera to expand a training program for young singers and aspiring conductors. Over the years, the NEA supported American giants like the Joffrey Ballet and Dizzy Gillespie as well as hometown folk artists like cowboy poet Wallace McRae and programs like the Rural Arts Initiative and Arts Education Partnership. In 2016, the organization announced its new focus on contemporary authors for the NEA Big Read program and was nominated for an Emmy for its digital story series United States of Arts. The NEA’s support helps the Straz Center deliver our Cultural Intersections program, a multi-disciplinary series of artists who use traditional, authentic artistic disciplines to transcend cultural boundaries. The NEA makes our work in this endeavor possible, opening our stages in recent seasons to such phenomenal artists as Black Violin, Parsons Dance Company, Celtic Nights, tabla master Zakir Hussein and others. This program includes an outreach arm which also sends our Cultural Intersections artists to the community in master classes, lectures and school visits with subsidized tickets for underserved K-12 students. Want more info? The NEA produced this online fact sheet for simple answers to FAQs. Just in time for Tosca, Opera Tampa’s Emmy®-winning hair designer divulges trade secrets about one of the great characters in opera—the wig. Dawn Rivard’s impressive résumé of hairstyling and wigbuilding gigs spans from the ‘90s television series Animorphs to this year’s breakaway series The Handmaid’s Tale. She’s worked on the major motion reboots of Total Recall and Carrie as well as made-for-TV movies and several well-recognized films from big Hollywood studios. We know and love Dawn as our hair and makeup designer for Opera Tampa, where she oversees, art directs and supplies superior care for the sublime pièce de résistance of any great opera costume, the wig. Dawn Rivard, wig/hair and makeup designer for Opera Tampa. Caught in the Act: Tell us a little bit about what exactly you do. Would you walk us through a typical job for an Emmy®-winning hair/wig designer? Dawn Rivard: What I do depends on the contract. There is NO “typical.” I get requested by any number of people like a director, costume designer or technical director because they have a need for a wig or hair or makeup person. It’s my job to figure out how to solve the job’s requirements at the highest level, keeping in mind the built-in restrictions like resources, time or geographic differences. Some jobs are a request for a custom fit wig for a rental, but I can’t do the fittings. In those cases, someone local sends me head measurements and other design references. I put together a wig and send it, crossing my fingers that they have someone good to address the million variables that come up with a wig. Renate Leuschner, an iconic Hollywood wig builder, taught me years ago you can have a beautiful wig that fits amazing, but if someone doesn’t know how to put it on, you’d never know it’s beautiful and amazing. Other contracts, like Opera Tampa, require someone who does wigs, hair and makeup design—and has a wig stock. For companies that have full time in-house wig and makeup departments, there is someone who is head makeup artist, but he or she is not the department head, and another person is lead chorus wig stylist . . . so, each job can be more specialized with larger companies. At Opera Tampa, each crew member has to be well rounded and highly skilled since there are only 3+ stylists to get the whole show done. When a basic leading lady pre-show prep is 30 minutes, a male takes 20 minutes and a character makeup is 40 minutes, that time really adds up on big shows. A wig and makeup designer has to be able to come in and design the show around what your local crew can do or what you can show them to do in a very short amount of time. This is not like a tour situation where the show is already built and established and all mapped out. Wigs for Opera Tampa’s production of Romeo and Juliet line the dressing room. CITA: When you work with Opera Tampa, how many wigs are you making per production, and do you have to repair/re-make wigs during the show? During the run? Must you custom-make the wig to fit the performer or can you make a standard sized wig and alter it? DR: It takes at least a week to fully make one wig. Since Opera Tampa’s schedule does not allow enough time to make a wig, I need to show up with enough already made stock so I have something for everyone. My rule is for every one wig the audience sees on stage, I have brought at least three so I can pick the best fit and look. I do not travel light. Often, even though I over pack wigs, there is still something I don’t have that I want. So, that’s when I purchase a wig locally and re-front it to fit the singer. For La Cenerentola, that was Tisbe’s two wigs. What I had for Robyn Rocklein [who performed Tisbe], I wasn’t happy with, so I went on a search for something I could alter to fit her and better suit the style of the show. CITA: How long does one wig take to create from start to finish? What is the one tool you can’t do without? DR: The pat answer to make a wig is one week, but that can vary greatly. The longer the hair on the wig, the more time it takes to knot it. The larger the head size, the more time it takes. The curlier the hair, the longer it takes. For doing wigs/ hair and makeup, there are a handful of tools that are invaluable. Three crafts is expensive to supply! If we don’t have the basics for all three crafts, your production quality is noticeably less. I have lots of support from companies like Dermalogica, Cover FX, Smashbox and Hask hair. Dawn getting Tisbe ready for an Opera Tampa dress rehearsal of La Cenerentola. CITA: What happens to the wigs when the production closes? Do they get re-purposed or retired? DR: All the wigs get the hairstyles taken apart and get washed and dried. They go back in a box and sorted for the next shows. Some get reused more than others due to color or size. Good quality wigs that are taken care of properly never really retire. I have some wigs that I started with 25 years ago. CITA: How did you end up in this profession, and is there one wig or one production that stands as your favorite (or most memorable for whatever reason)? DR: I worked in window display and liked everything in my windows except the wigs. I went on a hunt to find someone who could teach me wigs and that led me to The Canadian Opera Company who, back then, had a year-long apprenticeship program. They took four students a year, and you did classes and worked on shows pretty much seven days a week. When I finished the apprenticeship, they offered me one of the two assistant jobs. I did that job for two more years, and they allowed me to keep studying in the classes with the new apprentices as long as my show work got done. So, I essentially did a three year apprenticeship while working full time for not a lot of money, but I loved every second of it. Then I went on to work in musical theater—then film and TV work. Of course you always remember the really horrible experiences, like working outside all night in the freezing cold on a film shoot or when you’re sure you’re going to send a wig on stage that you hate because you just didn’t figure it out yet. There are the performers who were truly difficult so I spent every ounce of energy trying to make the best outcome. Then there are the ones who are just so professional that your job doesn’t feel like work at all. There is no shortage of new experiences. And, after 25 years, I feel like I might be getting pretty good at what I’m doing. See Dawn’s work in Tosca. If you haven’t bought your tickets yet, you can do that here. “Man of the World” by Tampa area veteran and visual artist Derrick “Ricky” Mayer. His artwork appears throughout this article. On any given day in America, between one and 20 veterans commit suicide. However, arts experiences help military personnel and their families amid the psychological and physical consequences of time at war. This grim statistic from research by the United States Department of Veterans Affairs stands in stark contrast to the fact that more combat soldiers survive tours to return home than ever before in American history. However, many of these women and men come back with grievous injuries to body and mind, with one in three affected by post-traumatic stress (PTS), traumatic brain injury (TBI) or both. Combat soldiers, non-combat personnel and their families also suffer with depression, the third most common health issue among the military community. Compound those invisible injuries with loss of limbs and eyes from improvised explosive devices, high rates of military sexual trauma to both women and men and families reeling from the emotional turmoil of a parent, spouse or child deployed or injured in the line of duty, and civilians can see the price our people in uniform are paying for the cost of war. Artwork by Derrick “Ricky” Mayer. For the first time in relatively recent history, civilians and non-military organizations have expressed a growing willingness to put their empathy into action and give back to the people who serve. But what can be done? In the spring of 2010, when waves of veterans were returning from Afghanistan and Iraq, a small group of military brass met with arts and health leaders to ask the same question. For years, Veterans Affairs doctors and psychologists documented that of the veterans who opted for treatment, traditional talk therapy or behavioral methods were not as successful as they hoped. The stigma of seeking help, especially in the transition to civilian life, remains embedded in the warrior’s code, so many try to go it alone or rely on friends and family. New approaches were needed. It was time to look more closely at the health benefits of the arts. After all, the American military shares a long history with the arts as part of its identity. Drum corps rapped out tactical instructions to soldiers across smoky, chaotic battlefields during the Revolution and Civil War. Even Benjamin Franklin commanded a military band. Drawing and poetry appear in military academy curriculum, centuries of fine art grace the Pentagon, and one of the lasting impressions of WWII lives in the iconography of pilots painting their fighter planes with animals, women and fearsome faces to create an identity between themselves, their mission and their machine. Perhaps the most unbelievable connection of arts and the military resides in the story of the 23rd Headquarters Special Troops, “The Ghost Army,” a WWII Army covert force of writers, artists, painters, sound engineers, ad agency men and other performing arts professionals that created illusions in the form of inflatable tanks, spoof radio and pretend convoys to spread confusion and disinformation to the Axis powers. The military’s use of the arts for medicinal purposes also stretches back in history, with Florence Nightingale interviewed on the restorative value of music in an 1891 paper, “Music in Illness,” published in the medical journal Lancet. The military’s formal studies on the effects of music on convalescing veterans helped lay the foundation for the establishment of music therapy as a professional treatment. A groundbreaking achievement arrived in 2011, after the successful collaboration between military and arts-health leaders in 2010 to address a more prominent, more committed, more elevated and more conscientious application of creative arts to healing across the military spectrum. The first National Summit: Arts in Healing for Warriors took place at Walter Reed Bethesda, the “President’s hospital,” and the largest military medical center in the country. This summit led to Americans for the Arts launching the National Initiative for Arts & Health in the Military (NIAHM) in 2012, with its first roundtable held at the John F. Kennedy Center for the Performing Arts in Washington, D.C.
Artists and civilians are stepping into this new world of arts health for veterans – not as therapists (that role is carefully and strictly held for certified health professionals) – but as facilitators and allies in bringing a greater arts influence into the lives of people who need to process trauma, heal relationships and navigate the transition from war to civilian life. “We have seen first-hand the success and value of creative arts programs and will continue to expand our arts programs through partnerships with artists and arts organizations,” writes Stocks. The arts also side-step the stigma of seeking help because they allow for expression without directly confronting feelings, trauma or another person. Research shows music therapy works where traditional therapies do not and improves depression and anxiety for TBI. Dancing helps with balance and coordination more than muscular training programs, and dance therapy improves emotional responses, possibly helping to stabilize the sympathetic (fight-or-flight) nervous system. Engagement in the arts, because they are pleasurable activities, releases dopamine, the feel-good chemical, and further studies indicate engaging in the arts also lowers risks of heart disease and cancer. In essence, the performing arts don’t just supplement medicine. The performing arts are medicine, helping our women and men of the armed forces and their families find their way back to themselves once they return home. Mayer served in the Marines from 1988-1992, spending January-September 1991 in Operation Desert Storm. He is pictured with his copy of our INSIDE Magazine, featuring his artwork on the cover. In 2017, the arts and health in the military National Summit on Policy and Practice happens in Tampa. With 1.5 million vets and counting, Florida has one of the highest concentrations of veterans, second only to Texas. Already, we have a growing number of artists and arts organizations partnering with veterans to bring the power of the performing arts to PTS, TBI, depression and reintegration. Arts2Action, a Tampa nonprofit, hosts a veterans’ open mic at Sacred Grounds coffeehouse on the first Sunday of each month and holds a weekly performance workshop at the Tampa Veterans Recovery Center. Board-certified music and dance therapists work with regional VA hospitals, and artist-in-residence programs bring performing arts experiences to veterans and their families. If you would like to get involved or learn more about how the performing arts help veterans, you can visit the National Initiative for Arts & Health in the Military on the Americans for the Arts website. When The Daily Show senior political correspondent Hasan Minhaj needed a dope illustrator to make pieces for his upcoming show Homecoming King, he called on his buddy Sam Spratt. A Brooklyn-based digital painter—a classic oil technique used on computer tablets—Spratt graduated from Savannah College of Art and Design in 2010 and took to the internet via shared content while working as the staff illustrator for Gawker and Gizmodo. Spratt’s work, which ranges from portraiture to the new wave of ultra-artistic advertising and promotion, pops up in incongruent places—from the Long Day’s Journey into Night theater poster to interpretations of Angry Birds. He also has an impressive list of comic drawings and hip hop album covers. Sam Spratt’s first illustration for a Broadway play. Read more about it here: http://www.richardsolomonblog.com/2016/04/sam-spratt-long-days-journey-into-night.html. Sam Spratt’s Red Bird. See more Angry Birds art here: http://www.samspratt.com/angry-birds-for-rovio/. Minhaj, whose show explores his personal story as it fits into the landscape of the American Dream, wanted a Norman Rockwell-eque style of vignettes that Minhaj covers (hilariously) in his show. The result is this small collection of Spratt paintings, “New Brown America,” with explanations by Minhaj as posted on http://www.homecomingkingshow.com. ‘Alone on the Bus’ by Sam Spratt / Some of my worst memories growing up were on the bus. I still don’t know how it’s a mandated policy to put 100 hormonal teenagers in a metal box for an hour and hope fights don’t break out; it’s basically World Star on wheels. Bullying and bus dynamics in middle school are complicated: at times visceral and blatant, but most days it came in a more subtle form: exclusion. On display and surrounding me daily was everything I hoped for: the flirting, the jokes, the high fives, the desire to fit in somewhere on the social hierarchy. The school bus was the most social form of isolation. ‘Patel Brothers’ by Sam Spratt / Walk into any Indian grocery store and you’ll recognize a very distinct smell. I don’t know what it is; the daal, the dried Shaan masala, the bootlegged VHS tapes, but its uncanny and universal. The ambience is always a little left of what you’d see in a traditional grocery store, but the strangeness makes it familiar. The lights in the back flickered, the price tags were hand written and illegible, but the store owner knew customers by name and called my dad Najme Saheb every time we walked in. I miss those days, but I can relive them—even if its just for a moment—whenever I walk into a Patel Brothers. ‘Prom’ by Sam Spratt / By the time my senior year of high school rolled around I had never been to a school dance, I had been cut from the basketball team for the third year in a row, and I had just gotten off of Acutane. I was pretty much crushing it. Sneaking out of my house to go to prom was the most badass thing I had ever done. For the first time in my life I actually grabbed the reigns of an opportunity and just went for it. No matter the consequences, that night was the epitome of my American Dream. ‘October 9th, 2014’ by Sam Spratt / Standup comedy really is the mafia. We all start off as runners in the streets in hopes of one day becoming made men. We pine away for years in the back of dingy bars waiting for that one opportunity that could change everything. On October 9th, 2014 I got the call to audition for one of the most intelligent, poignant, and talented political satirists of the modern era. I had been doing standup 10 years, 1 month, and 9 days when I was hired to join The Daily Show with Jon Stewart. Jon took a chance on me, believed in me, and changed my life forever. Dreams really do come true. To see more of Sam Spratt, check out his website. Need a song-and-dance cabaret act for your next event? Look no further than Ovation!, the Patel Conservatory’s traveling troupe of professionally trained entertainers for hire. 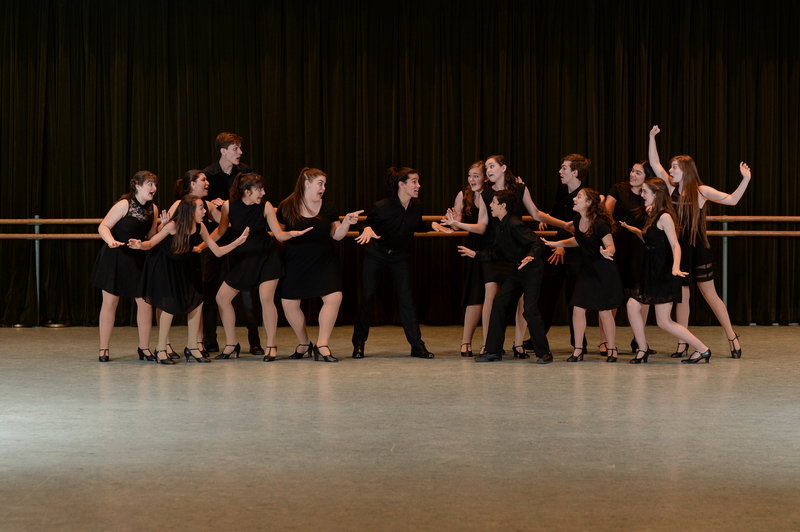 The Straz Center launched its first ever professional student cabaret ensemble, Ovation!, in a 2015 pilot program. Here, they perform in our TECO Theater. For a few years, a delightful idea from the Patel Conservatory’s theater department rolled around in The Straz’s creative hopper: what if … is it possible … could we have a group of students trained and prepared to gig like any other working performers? And, could they collaborate with our food and beverage team to provide entertainment for public and private clients? A few stars needed to align with timing and leadership – and, eventually, they did. Last year, the Patel Conservatory hand-picked 16 students who they invited to try out a pilot program to see if the idea could grow legs. Ovation! was born. The 2016-2017 Ovation! ensemble prepares for its working season in the Straz Center Rehearsal Hall. Under the vocal direction of Vice President of Education Suzanne Livesay and with choreography from theater faculty member Scott Daniel, Ovation! eventually congealed into a hybrid show choir and cabaret act able to perform medleys for public and private events. The group cut its teeth in-house, performing for the President’s Luncheon, the Patel Conservatory end-of-year Spotlight show and an Evening of Dance. The gigs throughout 2015 defined and refined the shape of Ovation!, with the directors deciding to create customizable gigs depending on the client’s needs. “We have 10-20 minute medleys ready to go around Broadway themes, love songs, holidays. But there can be other themes, or a longer duration, and combinations of performers depending on what the client wants. We’re training talented young people to sing and dance. They’re prepared to go anywhere and perform to professional standards,” Siegler continues. 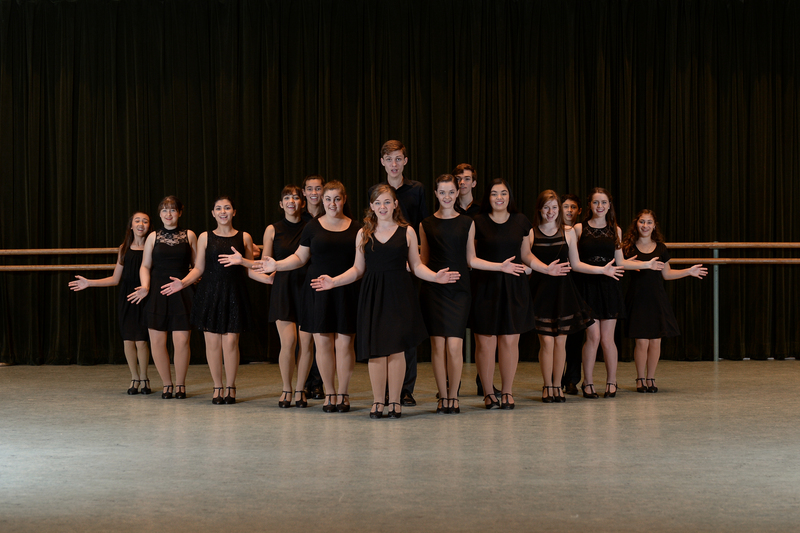 With the ground under its feet, Ovation! has deepened its training this season with Popular Dance program director Kelly King, a former Rockette, taking the helm as choreographer with Livesay. Auditions happened in August and will again in January. The Ovation! company rehearses weekly to keep the material and their performance chops sharp. Ovation! strikes a tableau from a show number. The company is for hire. All proceeds from Ovation! gigs go directly to Patel Conservatory scholarship funds. If you want to book Ovation! 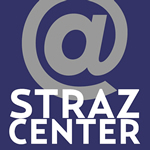 or get more information, please email audrey.siegler@strazcenter.org. If you are a Straz Center donor and would like to book Ovation! or get more information, please contact bill.rolon@strazcenter.org.